Davidsonville is one of many communities in Maryland where SinclairProsser Law serves clients and helps them to plan for a more secure future. Life is full of unexpected surprises, some of which are good and others of which have tragic consequences. You want to make smart choices to increase your chances of having good things happen, like a financially secure retirement. You also need to be prepared in case bad things happen. 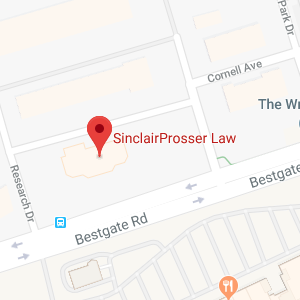 SinclairProsser Law can help. Davidsonville is an unincorporated community, which is considered to be a semi-rural area or an exurb. There are many housing developments and suburb-like areas in Davidsonville, MD. There is also a lot of farmland in the area. There is no high-density housing in Davidsonville, which has a population of around 8,000 people. There is also relatively little commercial development in the area and most housing locations aren’t served by natural gas lines, public water, or public sewer service. As a result, septic system, wells, and rented or owned propane tanks are common for those who live in homes in Davidsonville. According to an Economic Census conducted of the Davidsonville area, there are around 13 retail businesses which are opened year-round in the area and there around three retail food establishments which are located in the Davidsonville area. Davidsonville also has a historical district, which has been described as a perfect representation of the type of community characteristic of Anne Arundel County during the last part of the 19th century and during the beginning of the early 20th century. This historical district has managed to maintain its integrity and its character even as there has been more pressure for development in surrounding areas located around Davidsonville. Getting older in Davidsonville can raise challenges for the senior population. Seniors, no matter where they live, often become dependent upon receiving various types of social services and benefits. Seniors may need additional support and care because they get sick when they get older or because they experience physical and mental decline as a simple result of aging. For those who live in and around Davidsonville who need help when they get older, the Department of aging and Disabilities for Anne Arundel County is the best place to turn. This Department provides information on services and programs for seniors. You can find activity centers and aging resources as well, and there are support programs in place for caregivers. Seniors can also get help navigating around Davidsonville. There is curb-to-curb transportation available to help seniors get around. This county-provided service helps seniors to: “reduce feelings of isolation and loneliness.” Seniors can be provided with transportation to medical appointments and to dialysis. They can also get transportation to senior activity centers as well as to lunch and social sites. This kind of service does more than just improve quality of life. It is also life-extending and can help seniors to continue living independently for longer than they might otherwise be able to if no such services were provided. Seniors are among the demographic groups which benefit substantially from getting legal advice from an elder law and estate planning attorney. However, it is not just seniors who need to think about the possibility of incapacity, about end-of-life matters, and about legacy planning. There is not any guarantee that anyone, of any age, has a long time left to stay healthy. Tragedy can happen any time, and an elder law attorney helps to make sure that you are prepared and are not caught off guard. Elder law attorneys do more than just help people of all ages in Davidsonville to plan ahead in case something bad happens to them. SinclairProsser Law also provides assistance with retirement planning and can provide help to families going through the probate process following a death. In Maryland Orphans Court is the name of the court which handles probate matters including matters related to guardianship and to probating a will after someone has passed away. The Office of the Registrar of Wills also is involved with estate law matters. The probate process can be difficult following a death, as can the process of securing guardianship. You need an experienced attorney to represent you as you go through these processes. SinclairProsser Law provides assistance in Orphan’s Court and when interacting with the Registrar of Wills. You must resolve your estate law matters in the court or registrar’s office in the county where property was owned by the deceased. For those in Davidsonville, this means resolving issues in Anne Arundel County. The Registrar of Wills for Anne Arundel County is found at the Circuit Courthouse. This courthouse is at 8 Church Circle in Suite 403. This is located in Annapolis, Maryland 21401. The telephone number to reach the Registrar of Wills is 310-222-1430. The telephone number to reach the Anne Arundel County Orphan’s Court is 410-222-1418. If you have any matters before the court, contact an experienced attorney for assistance so you do not accidentally do anything to slow down the process of resolving your legal matters and so you do not jeopardize the possibility of favorable outcomes. While estate planning is not something that everyone in Davidsonville does, it is something that you should do if you want to spare your family unnecessary difficulties and if you want to ensure you always maintain as much autonomy as possible, even if you can no longer speak for yourself. SinclairProsser Law can provide the help you need with all aspects of estate planning and can also assist with a wide variety of elder law matters. Give us a call at 410-573-4818 or contact us online to discover more about the comprehensive services an experienced attorney can provide in helping you to build a strong and stable life for yourself and for generations to come.